Robert Hill Hanna was born at Aughnahoory, Kilkeel, County Down on August 6, 1887. He was baptized in Kilkeel Presbyterian Church by the Rev. Robert White, and was educated at the nearby Ballinran School. After his school days were over, he was engaged in farming for a while, and in 1905, aged eighteen, emigrated to Canada, settling in British Columbia. It was here that he joined the Vancouver based Ontario L.O.L. No. 2226, which was not an unexpected move, given his family ties to Aughnahoory L.O.L. No 343. Brother Hanna worked as a lumberman until 1914, before enlisting as a private, on November 1 of that year in the Canadian Army. Three years later on August 21, 1917, at Lens, France, Bob Hanna, by now a CSM, won his coveted Victoria Cross. The citation published in the London Gazette, of November 8, 1917, detailed the event as follows - CSM Hanna's company met with the most severe enemy resistance at a heavily protected strongpoint, which has beaten off three assaults. All the officers had become c casualties. This Warrant Officer, under heavy machine gun and rifle fire, coolly collected and led a party against the strong point, rushed through the wire and personally killed four of the enemy, capturing the position and silencing the machine-gun. This courageous action was responsible for the capture of a most important tactical point. 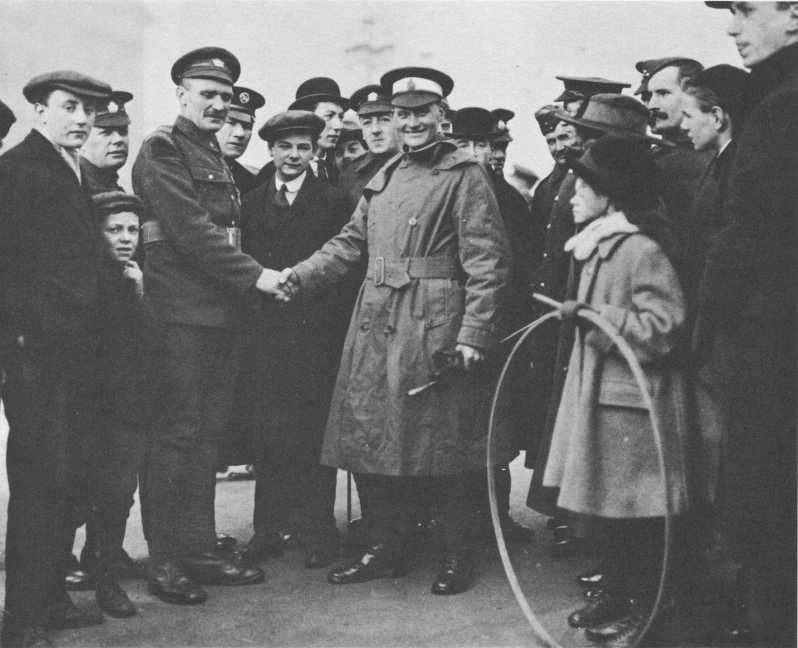 Brother Hanna was decorated with the Victoria Cross by His Majesty King George V at Buckingham Palace on December 5, 1917. Some time later, Robert Hanna, by now a Lieutenant, returned home to Kilkeel, and at a great public meeting in the Square, upwards of 3,000 people, applauded his courage, and marked the occasion by the presentation of gifts. The Rev. Alfred Eadie, one of the speakers, remarked on the honour and distinction that Robert Hanna had brought to the Kingdom of Mourne, while other speakers spoke in appreciative terms of Lieut. Hanna's gallantry. Brother Hanna was subsequently discharged from the army, and returned to Vancouver where, as reported in the August, 1919 edition of the Orange Standard, he was given a hearty and enthusiastic welcome by a large attendance of members and guests of L.O.L. No. 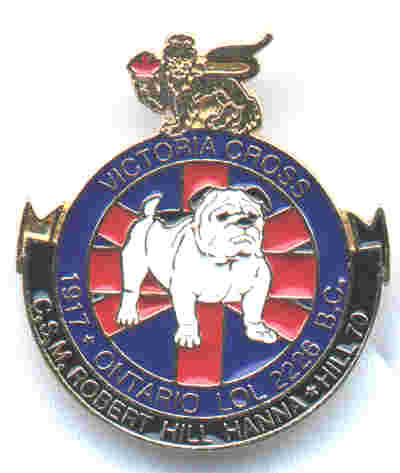 2226, and mentioned in the Grand Secretary's report of the proceedings of the Grand Orange Lodge of British Columbia . Returning to civilian employment, he ran a logging camp until 1938 and married Hannah, a girl of Scottish parentage in 1930. They had two boys, John [who died in infancy] and Robert. The family later moved to Mount Lehman, and returned to farming. Brother Hanna is known to have returned to Kilkeel on a number of occasions, and also paraded with the Canadian contingent at the Victoria Cross Centenary Review held by Queen Elizabeth in Hyde Park, London, on June 26, 1956. Brother Hanna, described by those who knew him as a great big, fine chap, always smiling, died on June 15, 1967, at Mount Lehman, British Columbia, and is buried at the Masonic Cemetery at Burnaby.